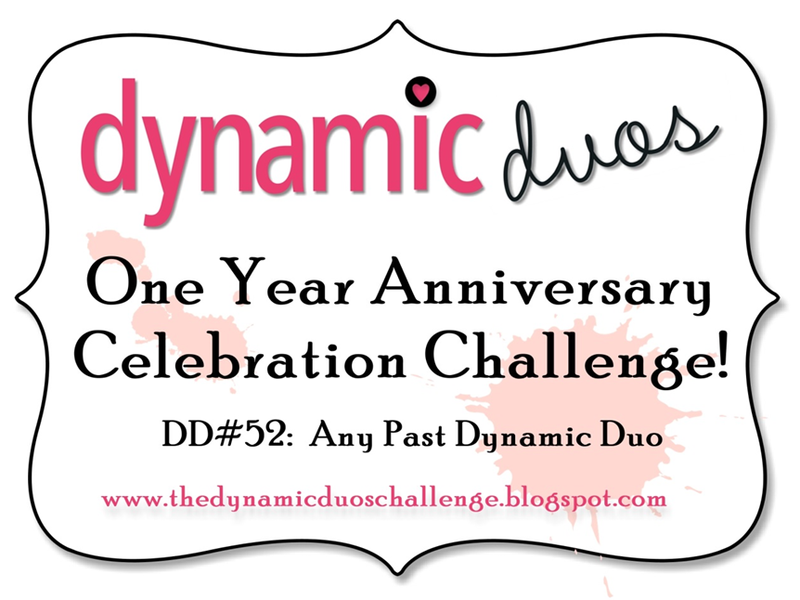 Hayley's Paper Garden: Dynamic Duos ~ 1 Year Anniversary Challenge! 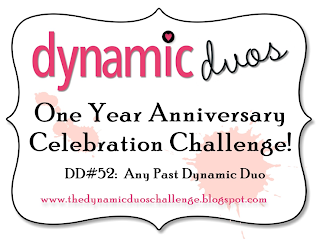 Dynamic Duos ~ 1 Year Anniversary Challenge! 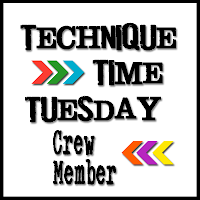 Good Morning everyone :) Back with my 2nd card as a Dynamo (no the excitement has not worn off yet hehe) and it is a special one! 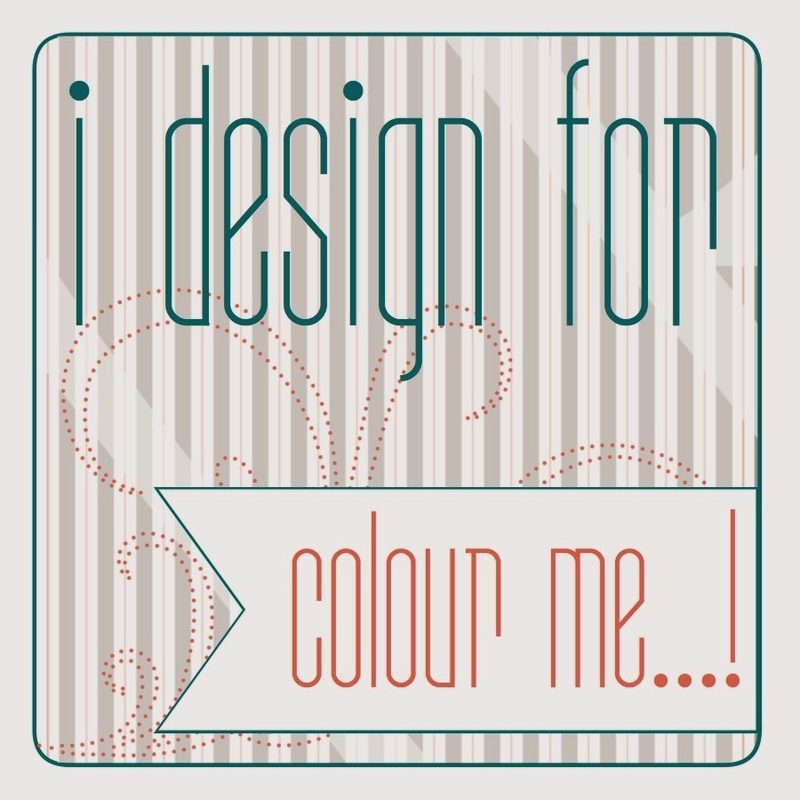 We are celebrating our 1 Year Anniversary this week and would love for you all to pop by and select your favourite past colour duo and join in the fun with us! 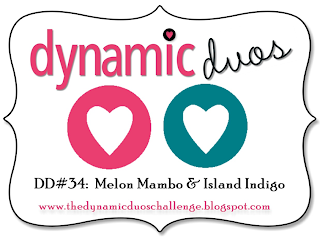 I chose to go with Melon Mambo & Island Indigo! Just taking a look at this card makes me want to party! Love the glimmer you mixed in with the 2 duos! 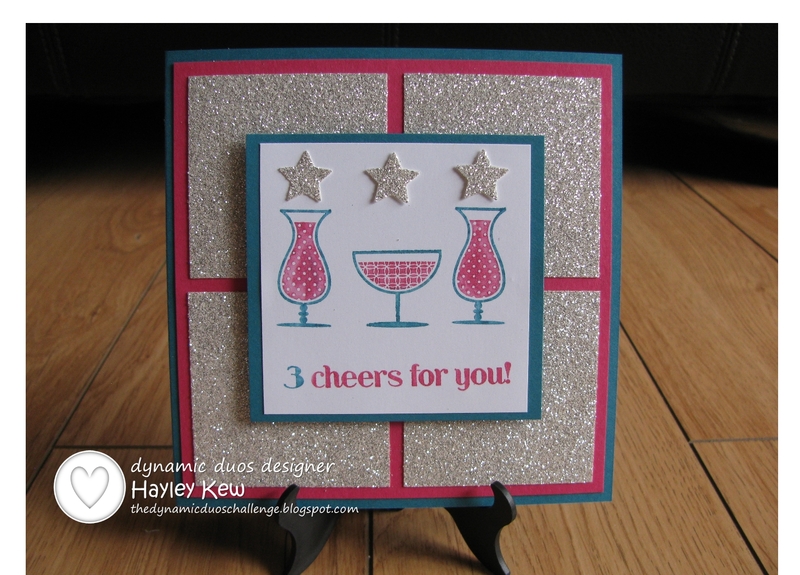 You festive and glimmery card is perfect for DD Anniversary celebration Hayley! So pretty! 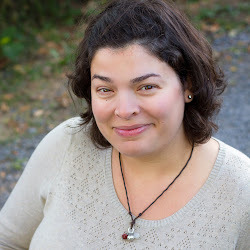 I'm glad to hear that silver is allowed because I love it! LOVE the glimmer background Hayley!! SO much fun and definitely perfect with that set. Hayley, this is so pretty! 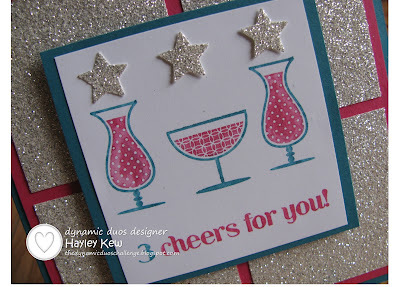 I love your silver glimmer paper with this color combo - very nice!! Hayley sorry to be late to the party, this is such a fabby card. The drink glasses with the stars overhead and the glittered background are so festive. 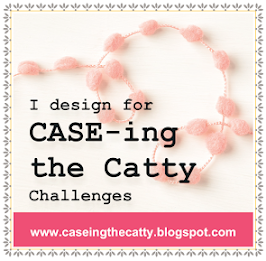 2 Cards, 3 Challenges ~ So Much Fun! 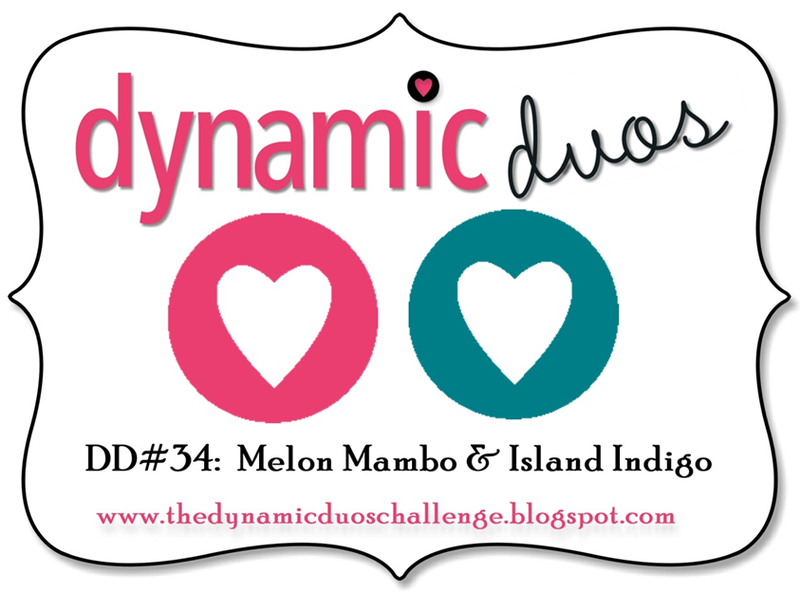 Dynamic Duos ~ Monochromatic Challenge! 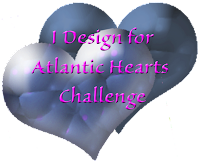 1 Card 4 Challenges ~ FUN! 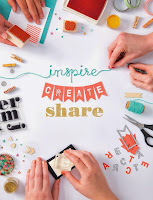 Happy Birthday Mynnette ~ BLOG HOP! 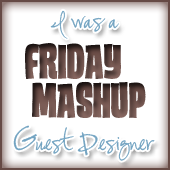 Fusion #5 ~ Live the Life You've Imagined! 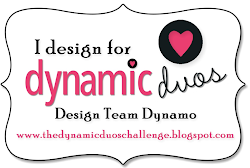 My 1st Post as a Dynamo!!! 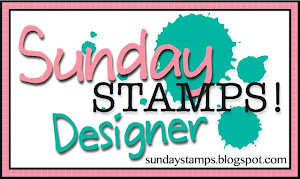 Sunday Stamps ~ Up, Up & Away - for good! Freshly Made ~ Welcome BABY!